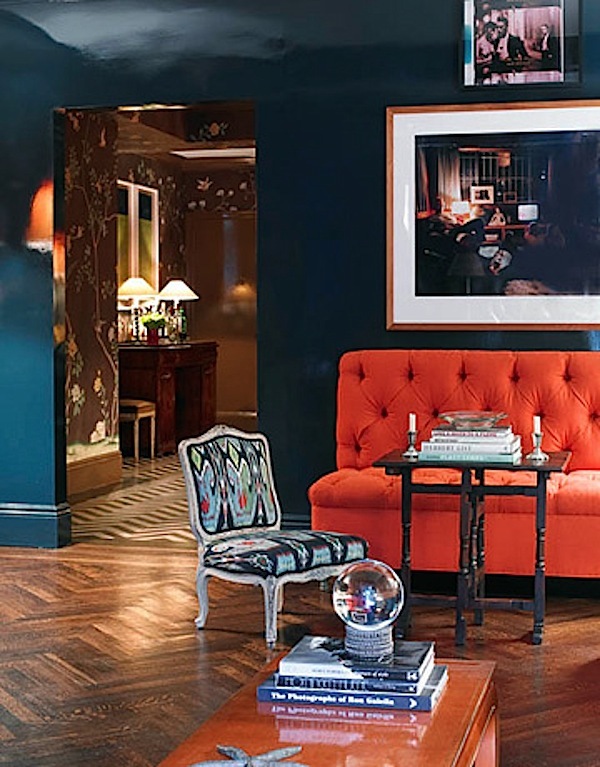 Miles Redd needs no introduction among design cognoscenti. This expert mix master represents modern glamour at its best. Combining such seemingly disparate elements as flea market finds with the finest pedigreed antiques, Miles knows how to make spaces sing with an exuberant joie de vivre. We are thrilled to welcome Miles as our latest stylish shopping guest as he walks us through the incredible resource that is Design on a Dime. Inspired by the elegant chic of the 1920’s and 30’s, Miles has invented his own version of cozy glamour with an unbridled sense of color and whimsy, tempered by an educated eye and unerring knowledge of scale and proportion. It’s all about the contrast, of new and old, matte and shiny, rough and polished. Incorporating inventive and whimsical details, Miles style is all about sophisticated layering. A big thank you to Miles and Housing Works for an inspiring afternoon of shopping nirvana. This entry posted in art, design, furniture, interior design, Quintessence video series, Stylish Shopping. 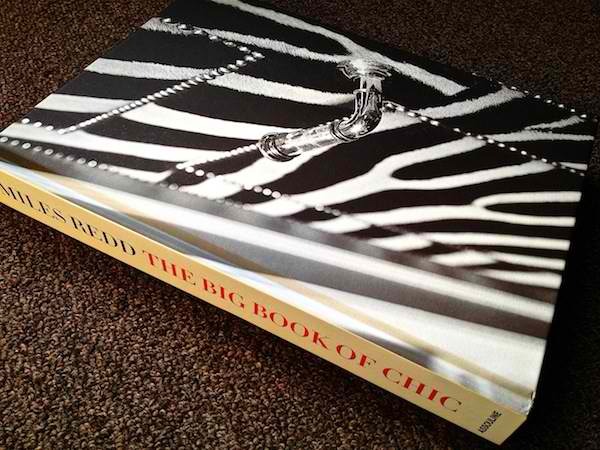 Entry Tags: Design On A Dime, interior design, Miles Redd, Stylish shopping Bookmark the permalink. To actually shop with Miles Redd is a fantasy come true. This piece is wonderful. You know that I am in design heaven here! 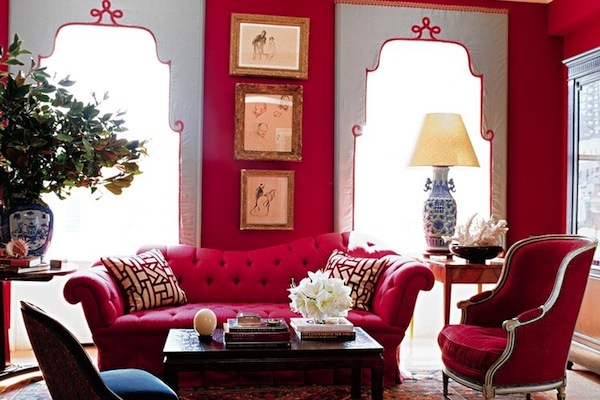 Love Miles Redd. Thank you for sharing this great event, Stacey! Well that was so fun (and inspiring!) one of these years I need to go to this event! Nirvana is a great way to describe it! Jealous! LOL :) Thanks for sharing! So inspiring!! Obsessed with Miles Redd! He definitely speaks my design love language. No doubt using element of contrast in interior designing, enhances the beauty of room decor.Great post. Oh, wow! To go shopping with Miles Redd, what a tremendous opportunity!! Thank you for letting us tag along! What fun to shop along with Miles and Susanna! I have his gorgeous book and luckily he signed it for me. What a great piece, Q! Everyone should be very jealous of me right now! One of the first times……(twenty something years ago) I went to John Rosselli; (it was on the river) four floors of the most wonderful things I had ever seen in one place in my entire life!! and this very young man…..just “helped me”! I have the one and only catalogue of John Rosselli! Worth every penny!! done by that darling Miles Redd all those years ago! ps I missed my plane back to Los Angeles……..I died and went to heaven in that 4 story store that was full of every thing I love! I have never been in an antique and accessory story….that every single thing…..(I mean it..every single thing) I LOVE!!! I missed my plane! I “hyper focused” and completely lost track of time. It was completely worth it! 83 queries in 0.790 seconds.